The City-wide ADU Tour is just two weeks away.The ADUs on this tour are beautiful and we can’t wait for you see them in person. Here’s a preview of some of the ADUs you’ll be seeing. 500 tickets have sold. 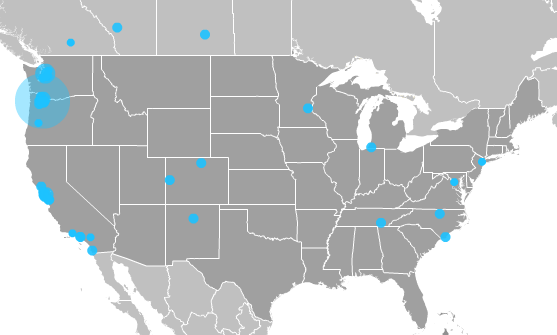 People are coming from across the nation for this event. Here’s a breakdown of people’s motivations for attending the tour. The purpose of this tour is to educate and inspire attendees. We are certain that this tour will do just that. 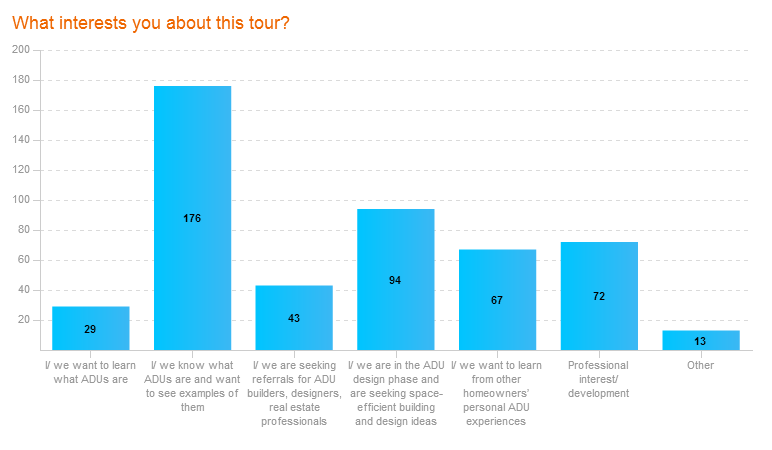 We’ve opened up a 2nd guided tour option by van for those who to get a more in depth understanding of ADU related zoning, design, and financing issues along the tour route. You can register for that option on the registration page. And starting today, all ticket holders will gain access to the full profiles of all eleven ADUs that will be featured on the tour so that attendees can start researching and route planning. How do you pick the ADUs for this tour? The criteria is that it is a permitted ADU whose hosts are a) willing to have people come see it b) are willing to be transparent about the costs associated with it. Then, I also take into account the location of the ADU relative to other ADUs on the tour. This entry was posted on October 25, 2015 by Kol Peterson in Events and tagged ADU Tour.